Frederick Erickson is George F. Kneller Professor of Anthropology of Education at the University of California, Los Angeles (UCLA), where from 2000-2006 he has also been director of research at the Corinne A. Seeds University Elementary School, UCLA's laboratory school. He received his bachelors and masters degrees in the history of music and his PhD in education at Northwestern University. His contribution to the field of anthropology of education has earned him numerous honors and awards including Spencer and Annenberg Institute for Public Policy fellowships, a Fulbright Award, and an Award for Scholarly Contributions to Educational Anthropology from the American Anthropological Association. Erickson’s writings on the microethnography of classroom and family interaction, and especially how this interaction affects disadvantaged students, continue to be ground-breaking and widely cited. His recent book, Talk and Social Theory: Ecologies of Speaking and Listening in Everyday Life (Polity Press, 2004) received an Outstanding Book Award for 2005 from the American Educational Research Association. 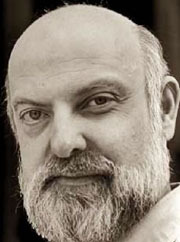 He currently serves on the editorial boards of Research on Language and Social Interaction and Teachers College Record. In 1998-99 he was a fellow in residence at the Center for Advanced Study in the Behavioral Sciences, to which he returns as a fellow for the academic year 2006-07.